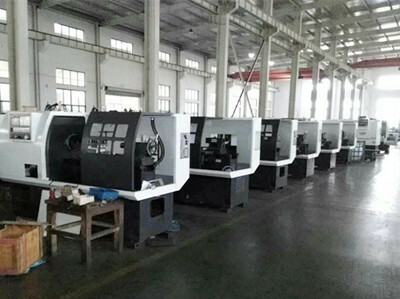 As an operation of CNC Machine Parts production and processing manufacturer, each of employees must know about the CNC machining items below, it can make us more clearly and understand our own machine, also can avoid detours.This standard is supervised by the head of production safety department from 2018/1/1. (1) writing or programming processing before processing program first compiled workpiece, if the workpiece machining program is long and complicated, it is best not to programming on the machine tool, and using the programming machine or computer programming, which can avoid the machine occupied, for the short program should be written in a single program. It's best to try it out after editing, so as to avoid unnecessary waste due to formal processing. (2) boot is generally the first boot bed open system, some design two are interlocked, machine tools can not be displayed on the CRT information. In addition, it is easy to come up with a problem, that is, the program is written before running, so there may be potential danger. It's like a car hanging up gears and firing, so it's dangerous. (3) the return reference point for the incremental control system (using incremental position detection element) of the machine tool, must first perform this step, in order to establish the machine tool coordinates of the mobile benchmark. (4) transfer processing program storage medium according to the program (tape, disk), can use paper tape reader, cassette machine, machine serial communication programming or input, if simple procedures can be used directly in the CNC control panel on the keyboard input, if the program is very simple and only processing a necessary procedure, not saved the. MDI can be used to segment and segment the segments by stages. In addition, the workpiece origin, cutter parameters, offset and various compensation quantities used in the program must also be lost before processing. Of course, the average person would not be able to process only one piece of work. (5) if the procedure of editing and transferring of the program needs to be modified, the editing operation should be done. In the middle of this machine must be provisional, at this time, the mode switch is placed in the edit position, using the edit key to add, delete, change. As for editing methods, the corresponding instructions are visible. (6) lock the machine, run the program, this step is to check the program, if there is a mistake, you need to re edit. (7) on the workpiece, the alignment tool adopts manual incremental movement, continuous movement or the use of hand wheel moving machine. Start the tool point to the beginning of the program and benchmark the good tool. (8) starting coordinate feed for continuous machining is usually processed by memory program. This method has lower processing failure rate than on tape. Feed rate can be adjusted by feed rate switch in machining. In the process, the button can be pressed according to the feed, the movement of the feed is stopped, the processing condition is observed or the manual measurement is carried out. Then press the cycle start button, you can resume processing. To ensure that the program is correct, it should be rechecked before processing. In milling, for the plane curve workpiece, can use the pencil instead of the tool on the paper outline, this is more intuitive. If the system has the function of tool path simulation, it can be used to check the correctness of the program. (9) the operation displays the position, program and the state of the machine tool by using the pictures of the CRT, so that the operator can monitor the processing. (10) the program output processing after the program has saved if necessary, can stay in the memory of CNC, if the program is too long, can put the memory in the program output to the external device (e.g., punch) in the punched tape (disk or tape, etc.) to be saved. (11) shutdown should generally shut down the system and then shut down the system. (1) before each start, check whether the lubricating oil in the lubricating oil pump behind the milling machine is sufficient, whether the air compressor is opened, whether the mechanical oil used in the cutting fluid is enough or not. (2) boot, first open the power, and then press the button to open the CNC power supply, the emergency stop button clockwise, etc. all functions after milling machine detection (the operation panel on a row of red indicator light is off, press the button to make the machine), milling machine reset, on standby. (3) in manual operation, we must always pay attention to, in the X, Y direction before moving, you must make the Z axis in the knife position. In the process of moving, we must not only look at the coordinates of the CRT screen changes, but to observe the movement of the tool, and other tools move in place, and then look at the CRT screen fine-tuning. (4) in the process of programming, for beginners, as little as possible G00 instructions, especially in X, Y, Z three axis linkage, should pay more attention to. In the air knife, the movement of the Z axis should be separated from the movement of the X and Y axes, that is, more lifting tools and fewer inclined inserts. Sometimes the tool is damaged because the tool will touch the workpiece when it is inserted obliquely. 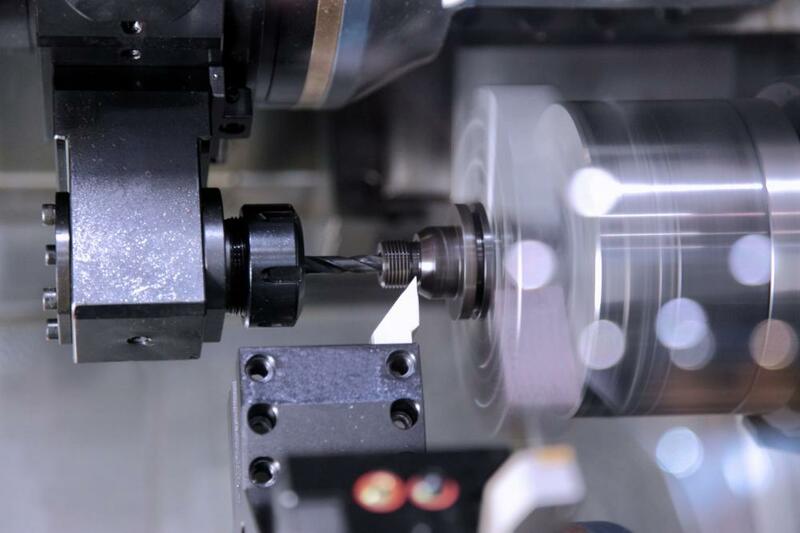 (5) in the use of computer serial communication, we must do: first open the milling machine, after opening the computer; first turn off the computer, after the milling machine. Avoid milling machine in the process of switching, due to the instantaneous changes in the current and impact on the computer. (6) in the use of DNC (computer and milling machine between the procedures for conveying) function, should pay attention to the memory capacity of the milling machine, generally from computer to milling machine transmission program total bytes should be less than 23kB. If the program is relatively long, it must use the method by computer while transmitting and processing, but the program, no more than N9999. If the program of more than 10 thousand, can use the MASTERCAM program editing function, to cancel the program.